SCENARIO: You have a new music video that you want everyone to see. It could even be an older video, doesn’t matter. 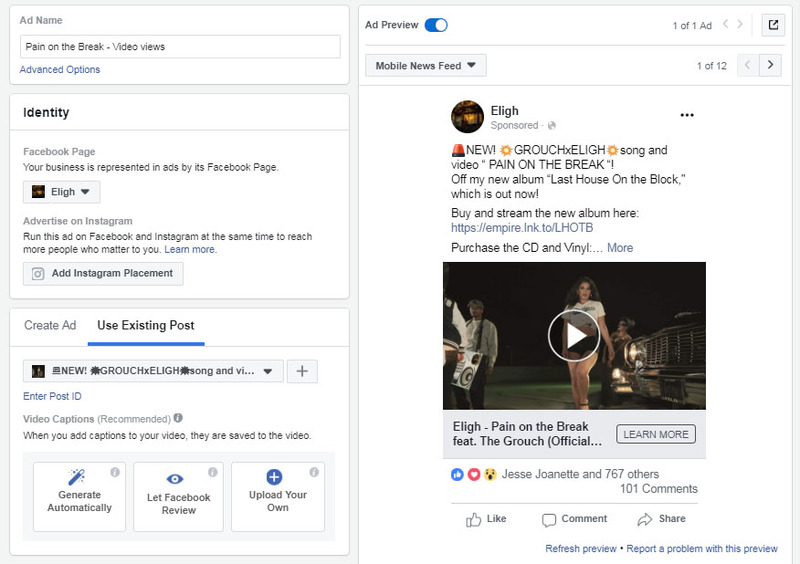 Facebook Ads is a great way to get more views for your music video, from both your current fans and potentially new ones. 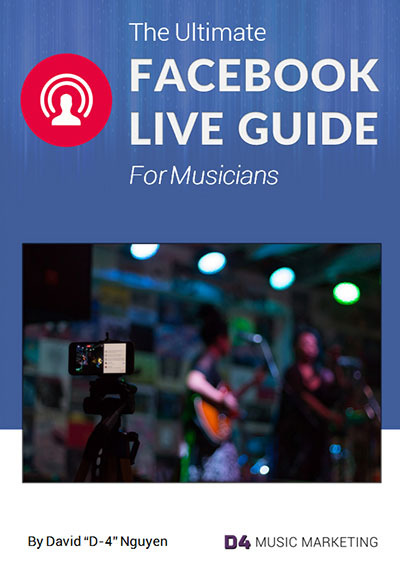 Think of Facebook Ads as a tool that you can use to get exposure for your music video and potentially lead people into your fan funnel. Once in your fan funnel, it can be easier to sell your music and merch to your fans. The good news is you can use Facebook Ads to do this also. There are different ways and strategies you can go about it, but I will guide you through one way to sell your music and merch to an audience that is more likely to buy based on how engaged they were by your videos. 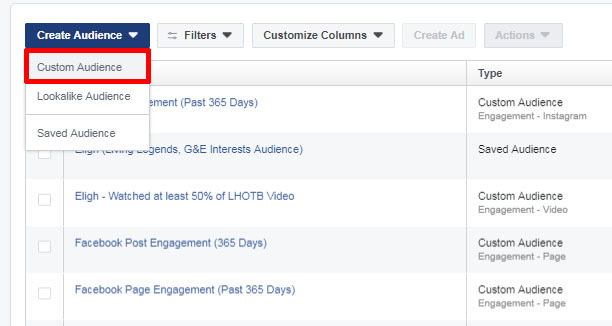 This process combines the 2 objectives in two separate Facebook Ad campaigns. The idea is that you want to spend your ad budget to get people to watch your music video first, then create a custom audience based on people who are engaged. In this case, engagement is based on how long a person watches a video. People who watch, let’s say 75% of the video, are more likely to be interested in your music and more likely to take a favorable action, like buy your music. Someone who watches your video for only 10 seconds is less likely to be interested in what you have to offer. 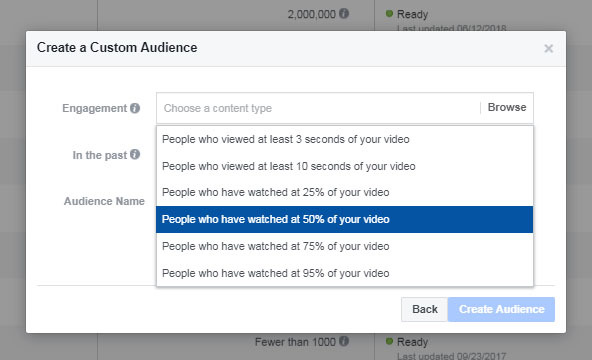 Facebook allows you to build this audience based on multiple videos watched. It’s a good way to take a cold audience and create a warm audience. Just remember, if you select people who watch a higher percentage of your video, the less people will be in your audience. So choose something that is reasonable for the audience you are targeting and budget. You want to aim to build an audience of at least a few thousand so adjust accordingly. Later, I’ll show you how to see how many people watched a certain percentage of your video so you can use that data to adjust your criteria. 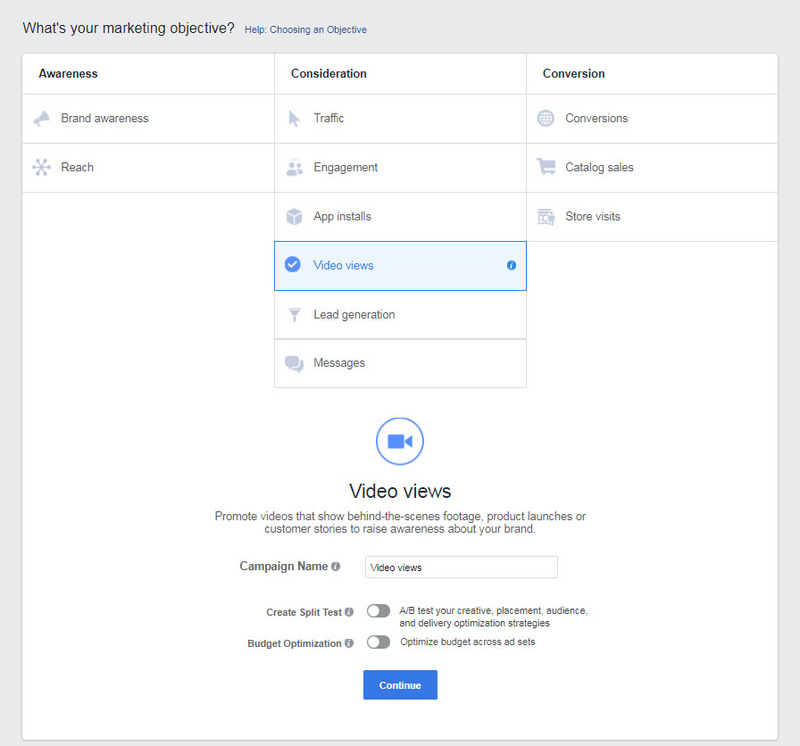 Create a campaign using the ‘Video Views’ objective. Name it something you can easily identify later if you need to look back at the data. Your cold audience would be the demographic of people who are more likely to resonate with your music, so you’ll be targeting your audience based on location, age, gender and interests. 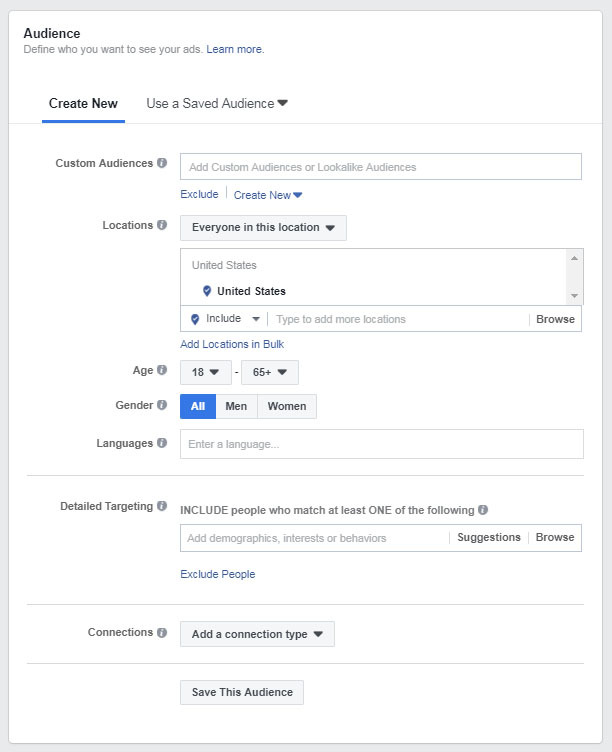 You can also create a ‘saved audience’ based on this information so you can target them in future ads. Remember that you want to be specific and not too broad when you’re targeting millions of people on a $5 budget. I’m usually working with a $10 – $50 budget so the audience size usually ranges from 10,000 to 1,000,000 depending on the objective. Another type of cold audience you could be using is a ‘lookalike audience‘ based on a custom audience like engaged Facebook page fans. For your warm audience, it could be your engaged Facebook page fans, email list or website visitors. 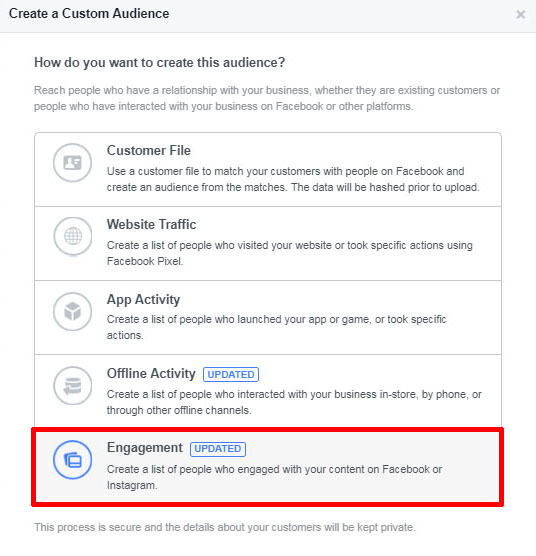 These are custom audiences that require a few extra steps to build. Examples of different custom audiences you can create. 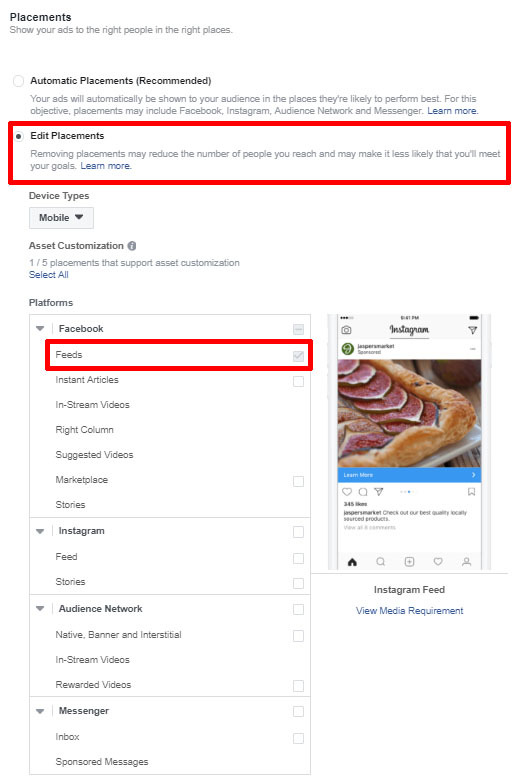 I won’t cover that in this blog, but the quick way to access a warm audience (your Facebook fans) would be in ‘Connections’ in the ‘Audience” box. Select ‘Facebook Pages’ then ‘People who like your page’ then select your Facebook page. 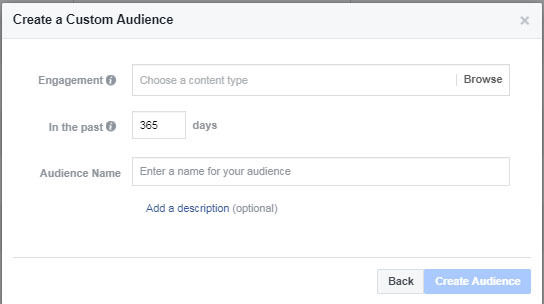 I’ve found in my experience that this isn’t great and that creating a custom audience of Facebook fans who have engaged with your page in the last 365 days is far more effective. You can do different combinations of warm and cold audiences, but to keep it simple, we’ll go with just 2 ad sets. Maybe you don’t have a warm audience or you want to keep it simple, you can create one ad set based on a cold audience. Be sure to name your ad sets so you can easily distinguish them. I usually will label ad sets based on the audience I’m targeting. Don’t do automatic placements. 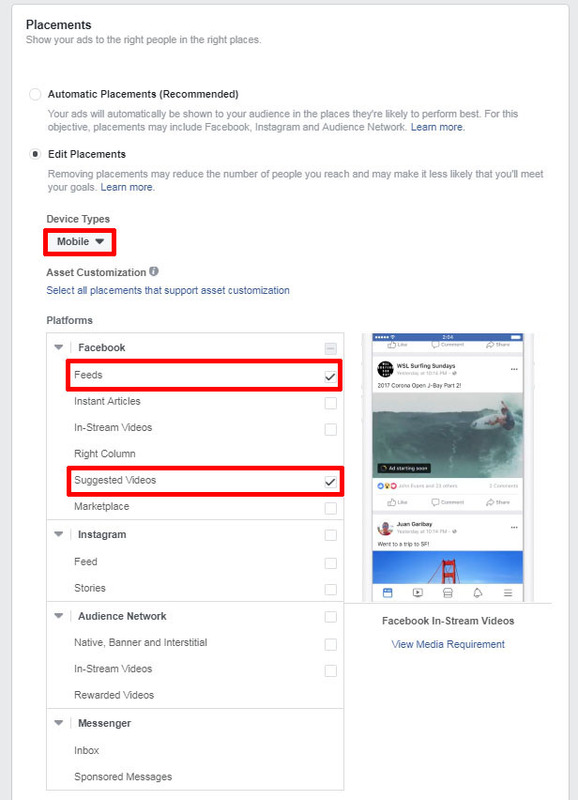 Most of the time, you will want to select Facebook Feed and Suggested Video only. I don’t mess with any other placements. If you want to be more cost efficient, select ‘Mobile’ only for Device Types. Most Facebook users are on mobile devices so reaching ‘Desktop’ users is going to be more expensive in comparison because they are a smaller audience. Just remember to select ‘Device Type’ first before checking the individual platforms. If you want to promote your video in Instagram or Stories, create a separate campaign and select placement for Instagram Feed. The ad should have a call to action button that links them to Facebook video. Remember, you only can do 1 minute video so you’ll have to cut it down. For the most part, you’ll just need to input your budget, daily or lifetime. Set the how many days to run the campaign. Do at least 3 days. ‘When You Get Charged’ is what you will have to think about. 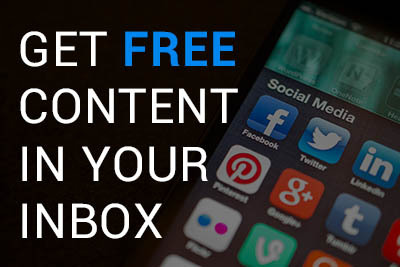 You can either get charged based on 1,000 impressions (CPM) or every time someone watches for at least 10 seconds. 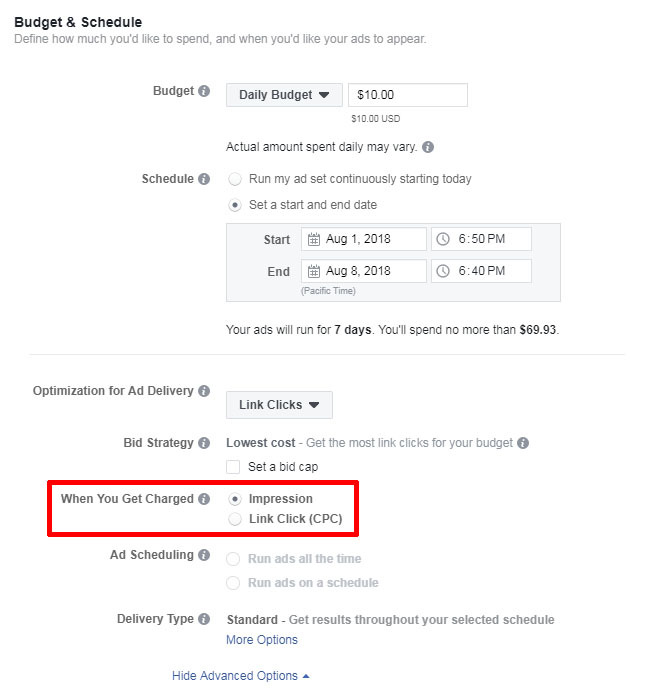 If you have your audience targeting down, then it makes more sense to be charged by impressions because it’ll be more cost effective. If you do the latter, you’ll get more engaged people theoretically, but it can limit the potential of how many people you will reach. This option saves you money, especially if the ad isn’t performing well. It’s like insurance so it’s ideal if you’re just trying out an audience for the first time. Once you have the targeting dialed in, you’ll want to be charged by impressions. 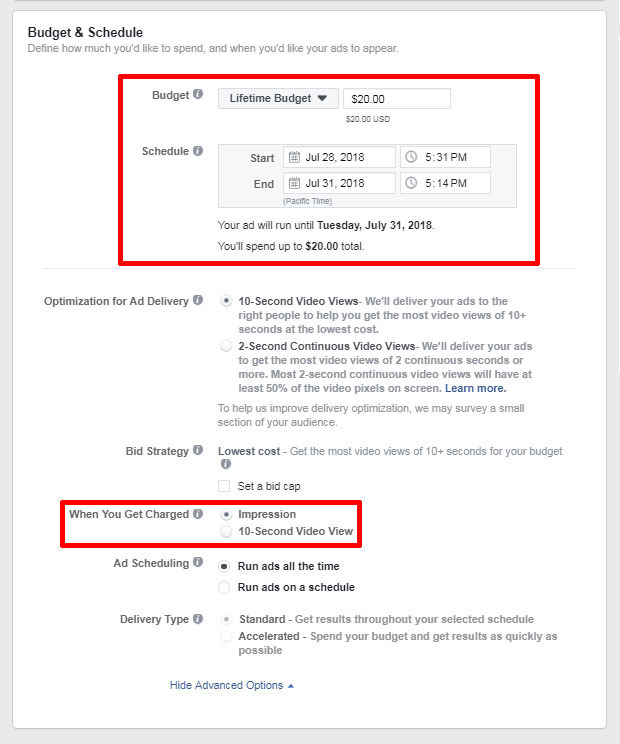 If you’re going to use an existing video post, make sure to optimize the description before creating the ad. Once the ad goes live, you won’t be able to edit it. 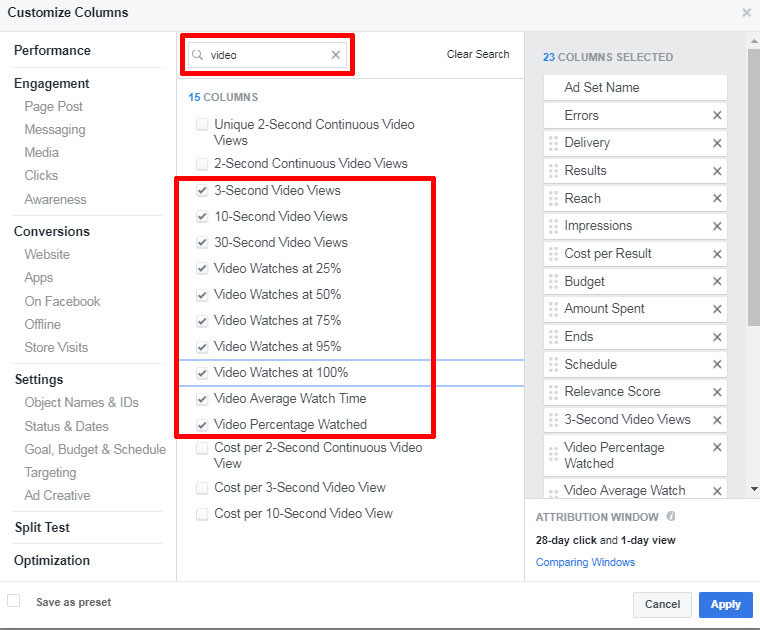 You will have the option to add a ‘call-to-action’ button to show in your video ad. For example, you can add a link to a platform that the song can be streamed or purchased. However, if your goal is to get people to watch the video, the button could be a distraction. You may even want to experiment with using a shorter version of the music video specially for these ads. It would be a good idea to run a test campaign with a smaller budget for at least 3 – 5 days to test your cold audience. 1) Click on ‘Create Audience’ and select ‘Custom Audience’ in the drop down menu. 2) Select ‘Engagement’ and then ‘Video’ right after. 3) Select the videos you want to use and the percent of the video watched. Be sure to name it something that makes it easier for you to use later. 4) Once you confirm, give it some time to populate before you can actually use. It takes roughly 30 minutes to an hour from my experience. Let’s say you ran a video views campaign and you want to see the breakdown of how long people watched your video. 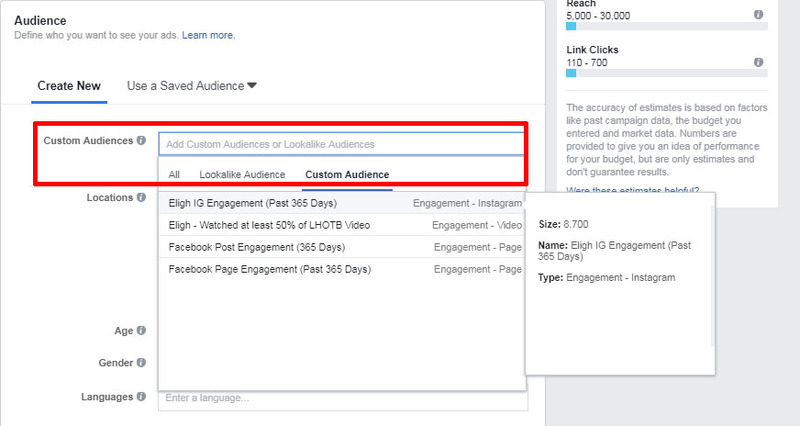 You can use this information to optimize your custom audience settings for later. 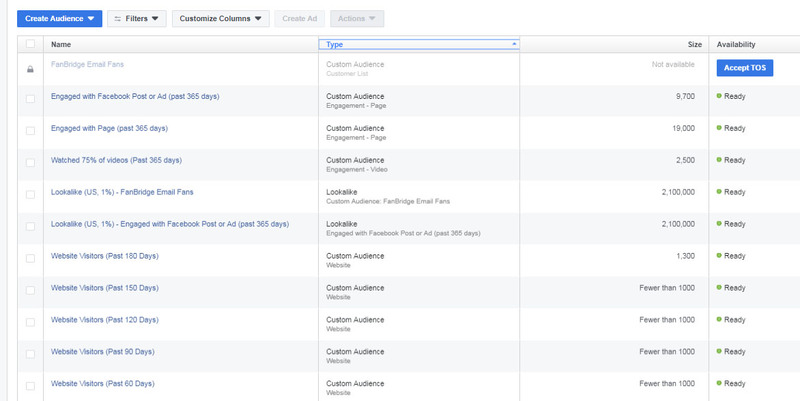 In the ‘Campaign’, ‘Ad Set’ or ‘Ads’ tab, click on the ‘Columns’ button on the right side. Select ‘Customize Columns’. For example, let’s say you want to build a custom audience of people who have watched at least 50% of your videos. You ran a campaign with multiple ad sets and you want to know which ad set will most likely give you more 50% and up watchers. By selecting these columns, which most don’t show by default, you can see how these ad sets performed based on the criteria you are looking for. By knowing this, you can create a new campaign and put more money behind that ad set to build that custom audience more cost efficiently. 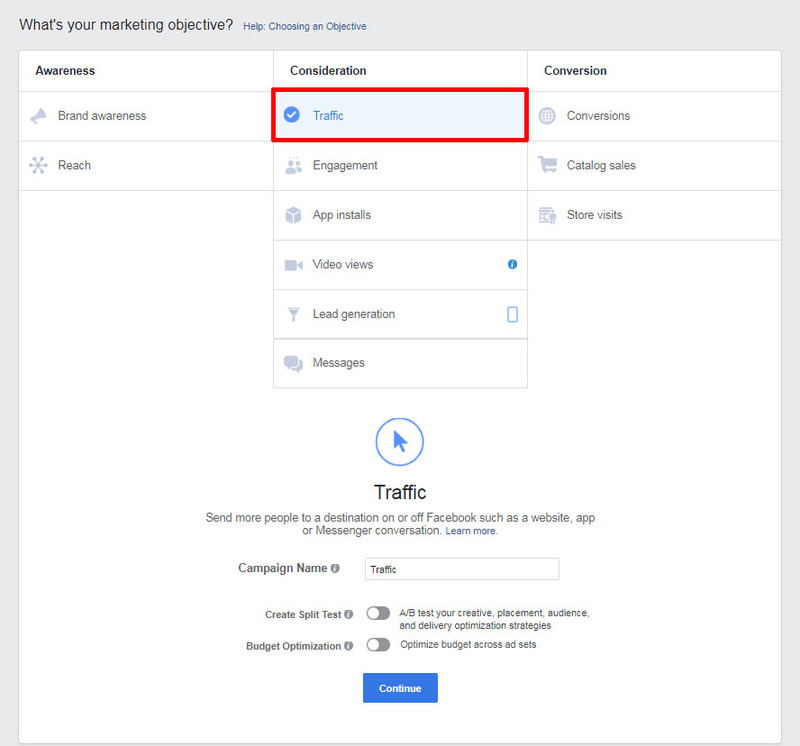 Now that you have your custom audience based on video views, create a new campaign using the ‘Traffic’ objective. You can use this campaign to push people to buy your music and send them to your shop to buy merch. You’re going to select the custom audience you created. If the size of your audience happens to be too broad, you may want to narrow it in more by setting location, age, gender or interests. Otherwise, I would change the location to Worldwide and leave everything else as the default. Personally for placements, I always do ‘Edit Placement’ and stick to either Facebook or Instagram feeds. Budget and schedule. Make sure that you’re setting it for at least 3 days. Similar to the video views campaign, I select Impressions most of the time for ‘When You Get Charged’. Link Click (CPC) is the safer option because it just means you only get charged if someone clicks on the ad, but you generally will need a slightly larger budget (minimum $5 per day). You can push them to buy your album, follow you on Spotify, send them to your website to buy merch or even opt-in to your email list. Image or video – If you’re using an image, be sure to refer to this. If you’re using a video, keep in mind that square and vertical video perform better. Make sure it’s high quality and relevant to the action you want them to take. Your copy (text) – To keep everything consistent, your copy or caption should all be relevant to the action that you want them to take and motivate people to do it. Link (landing page) – If you’re sending them to buy your album or merch on your website, make sure you send them a link directly to that item. Just remember that effective ads are ones that the media, text and landing page have a good synergy. The image or video should be catchy, if possible. The the text uses persuasive language that may include certain psychological marketing triggers. The landing page should take the person exactly where the image and text promises with as little steps as possible.